Oskar Sundqvist scored twice to lead the St. Louis Blues to a 4-3 victory over the Winnipeg Jets on Friday night in Game 2 of their Western Conference opening-round playoff series. 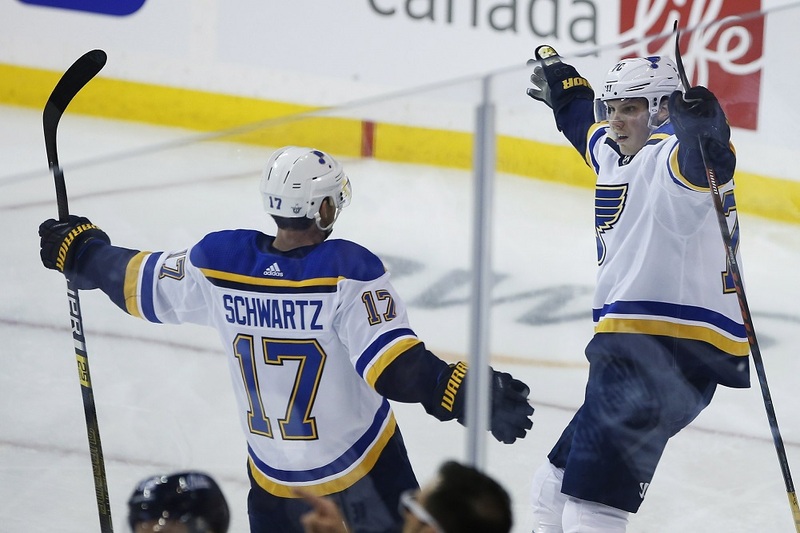 Pat Maroon and Ryan O’Reilly also scored for the Blues, who lead the best-of-seven matchup 2-0 and host Game 3 on Sunday. Rookie Jordan Binnington made 26 saves. The Blues held a 23-14 margin in shots on goal after two periods. ... Bortuzzo went to the dressing with a bleeding wrist midway through the third period, but returned. ... Jets forward Mathieu Perreault left the morning skate early with an undisclosed injury and didn’t play, but winger Brandon Tanev returned after missing three games with a hand injury.